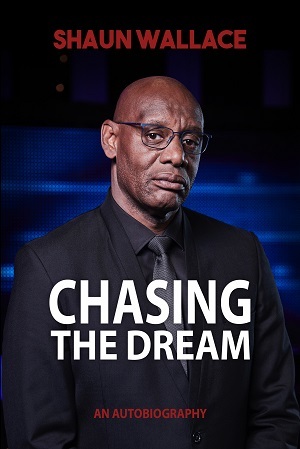 ITV 1 The Chase’s Shaun Wallace, aka The Dark Destroyer and Legal Eagle, is releasing his autobiography, Chasing the Dream with Cranthorpe Millner Publishers. ITV 1 The Chase’s Shaun Wallace,|https://www.celebagents.co.uk aka The Dark Destroyer and Legal Eagle,is releasing his autobiography, Chasing the Dream, with Cranthorpe Millner Publishers. London, UK, 28th August 2018: Well-known Chaser, Shaun Wallace, has finally realised his dream of releasing his as yet untold autobiography. The title will be officially released on October 31st 2018, but is available now for pre-order. He has been a Criminal Defence Advocate now for nearly 34 years, and he has made a name for himself with regular appearances on British television quiz shows such as Fifteen-To-One, The Weakest Link, Greed, and Are You an Egghead?. Shaun catapulted to national prominence and recognition when, on the 5th December 2004, he became the first black person to win the BBC’s renowned Mastermind. Since 2009, he has become a household name, regularly appearing as The Dark Destroyer on the smash ITV hit teatime quiz show, The Chase. As Shaun himself describes in his book: This is my life’s journey over the course of my first forty eight years, a journey that from the outset, has been driven by a desire and a dream (that continues even to this day) of wanting to achieve, an ambition to succeed that is coupled with an idealistic goal of wanting to leave a legacy for others in the future to hopefully aspire to and surpass. Some may say, with some justification, that my enduring ambition has been but a pipedream, a dream that, no matter how hard I work, no matter how successful I may become, will always be tantalisingly beyond my reach. In the real and pragmatic world, that may be true, but given the person that I am and have always been, that will never prevent me from chasing what I have always aspired to. Go to www.cranthorpemillner.com/shop or visit Amazon or Waterstones websites to pre-order your copy now! This press release was distributed by ResponseSource Press Release Wire on behalf of Cranthorpe Millner in the following categories: Entertainment & Arts, Media & Marketing, Public Sector, Third Sector & Legal, for more information visit https://pressreleasewire.responsesource.com/about.